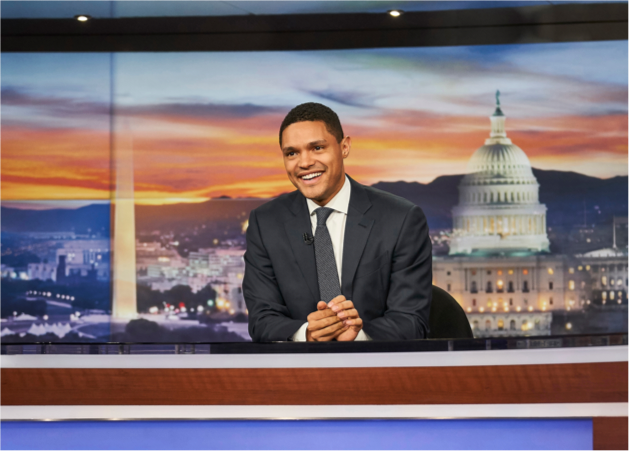 The tragic events that took place a few days ago left a painful mark on us –– and I mean those of us with open eyes, open hearts, and open minds. With the 24-7 coverage of the Orlando massacre, I couldn't help thinking that unthinkable hatred is often propelled by the refusal to understand and accept the differences –– whatever those differences might be –– among us human beings. 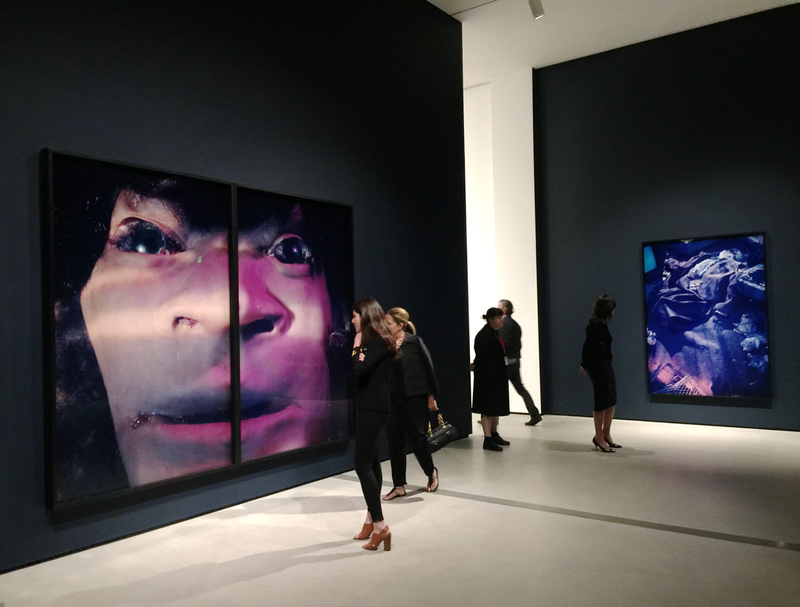 And with that, I want to share with you an experience that I had last week with artwork that not only impressed me with the quality, but also educated me and open my mind. 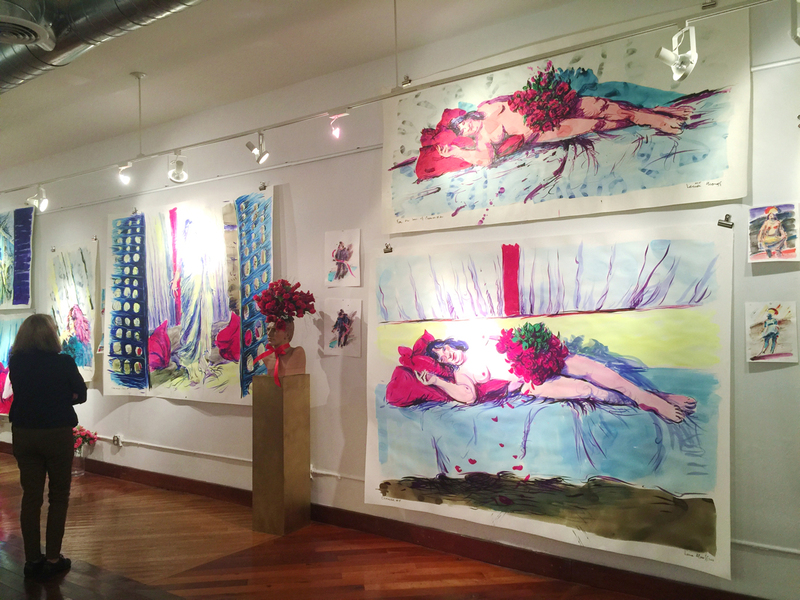 Russian-born, Los Angeles-based artist, Lena Moross, invited me to a private gallery, MuzeuMM, to see her current exhibition –– appealingly titled, For the Love of Carmine. The exhibition presents a number of large-scale watercolors, with the focus on the same person, Carmine Messina –– sometimes dressed, often undressed, but always commanding your full attention. Lena told me the amusing story of how she met Carmine for the first time, which happened to be on the corner of Hollywood and La Brea. 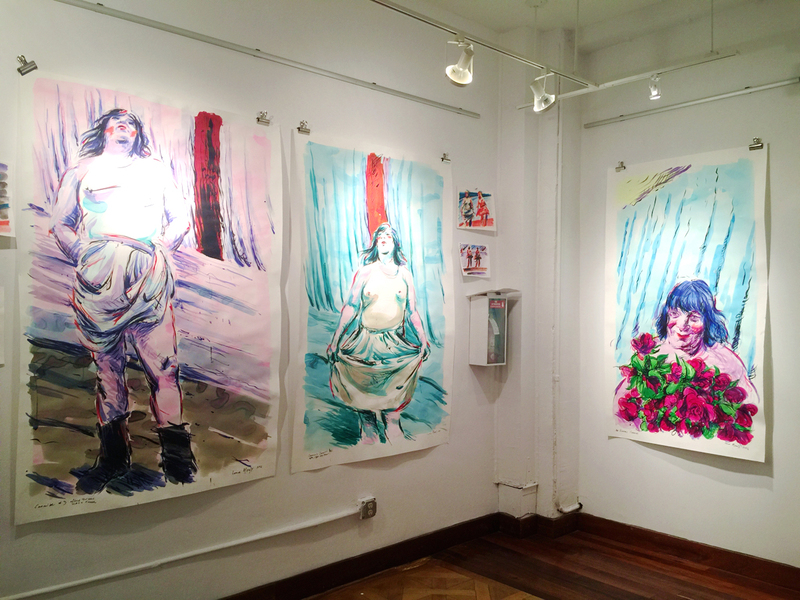 “Struck by the older transgender woman's gentle demeanor and self-possession, Lena introduced herself and began a conversation that has continued for more than three years.” As a result, the artist and model became friends. And the resulting artworks allow us the privilege of peering into the complexity and intensity of their collaboration. What struck me –– looking at Carmine in such diverse presentations –– were her vulnerability, her courage, and her undeniable sweetness. Here is an example of art that gives us invaluable glimpses into the worlds of others –– and the chance for understanding the complexity and diversity of us human beings. 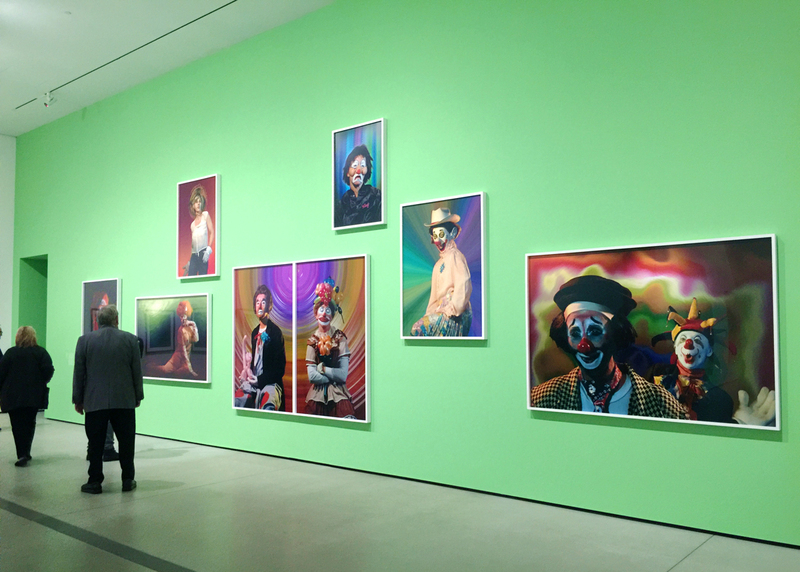 With all the above, I want to switch to the new exhibition at the Broad Museum. 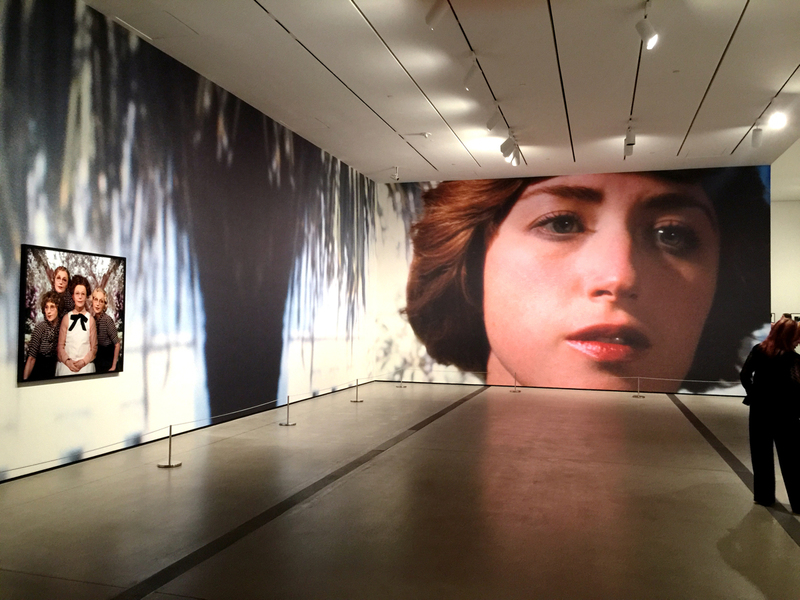 It is the first temporary exhibition since The Broad opened last fall, and is dedicated to Cindy Sherman –– an artist whose art Eli and Edythe Broad fell in love with forty years ago, and whose photographic “self-portraits” they have been collecting in depth throughout the years. 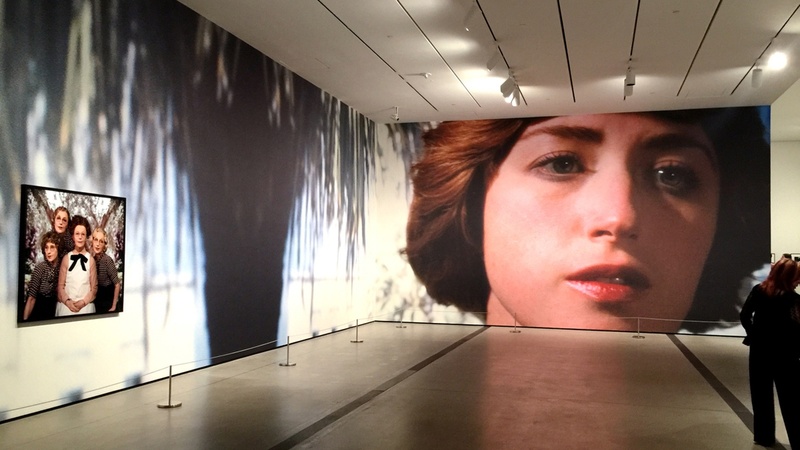 The exhibition, Cindy Sherman: Imitation of Life, consists of more than 120 works and is installed with a particularly theatrical flair that emphasizes the dramatic artificiality that is the essence of Sherman's art. I've been a big fan of the artist for a long time, especially admiring her early works. But I have to admit that her later work struck me as not only labor intensive, but on occasion, rather laborious. 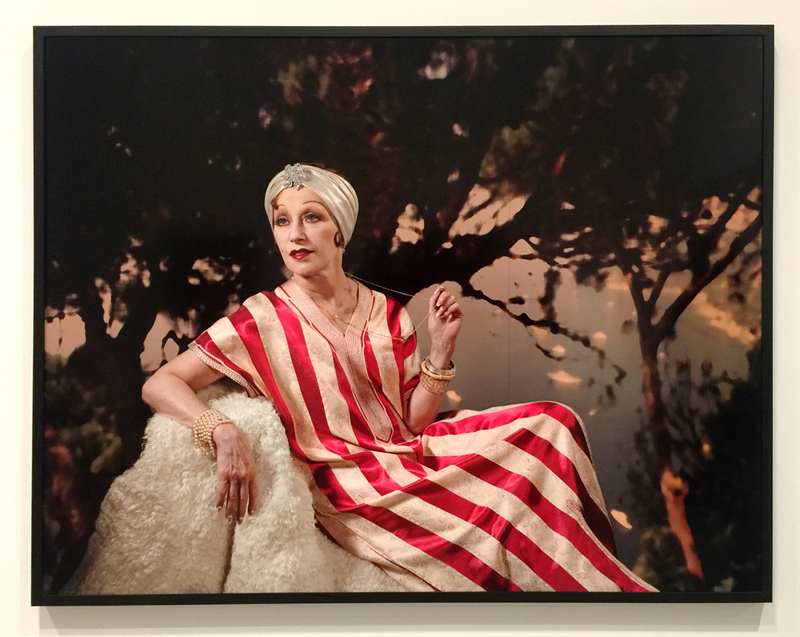 But now, seeing this comprehensive survey of her works, I have a new appreciation for her ability to purposefully go over the top in creating overwhelmingly baroque and operatic images of people so dramatically different from you and me, yet still, all these clowns and aging divas, they're part of us. Here is another great lesson in humanity that art teaches us so eloquently. All photographs by Edward Goldman.